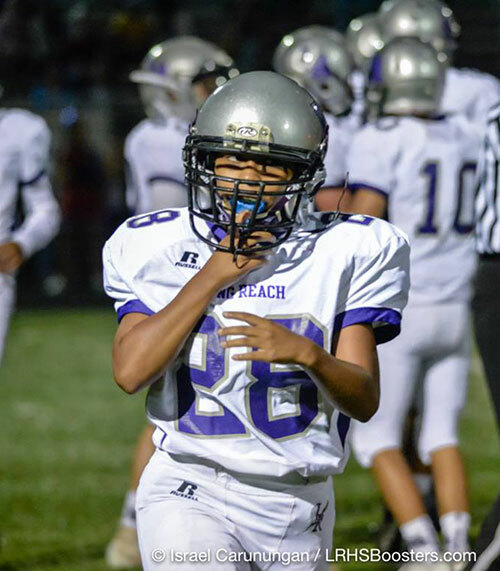 That’s the mindset that Long Reach High School Junior Running Back Mimi Britt said she has had throughout her life — including on the varsity football field. 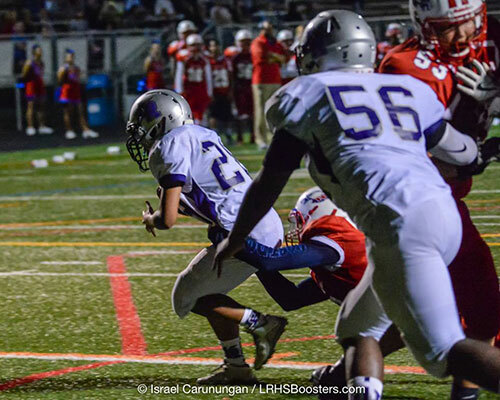 Britt, who didn’t begin playing tackle football until her freshman year at Long Reach, became the first female in Howard County history to score a varsity touchdown on Friday night in the game against Centennial High School. Head Coach Jamie Willis, who hoped to see Britt score her first touchdown Friday, said he called a wedge-right, which essentially becomes a massive wall of blockers leading their running back. In this case, Britt, who hadn’t practiced this particular play, took the handoff at the 8 yard line, began up the middle, and made a quick and decisive move to follow her blockers into the endzone. “She made a great cut,” Willis remembered. Prior to making the junior varsity team as a freshman, Britt played flag football as her mother was hesitant to allow her daughter to participate in a contact sport. “I was a super, super active kid and really aggressive because I grew up with brothers,” Britt said. 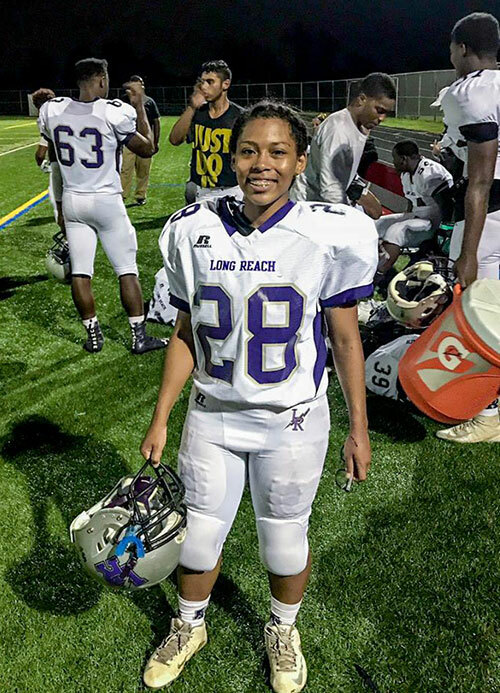 After missing her sophomore season due to a severe injury incurred during the spring track season, Britt had a large road ahead of her to prove to her coaches that she was up to the challenge of varsity football. Coach Willis stressed that, while he rarely makes cuts, he will do so if he believes a player – male or female – can’t protect themselves physically on the field. After a preseason scrimmage, he knew that she was able to hold her own. Britt hopes to continue to grow as a player and take her skills to the next level by playing in college.